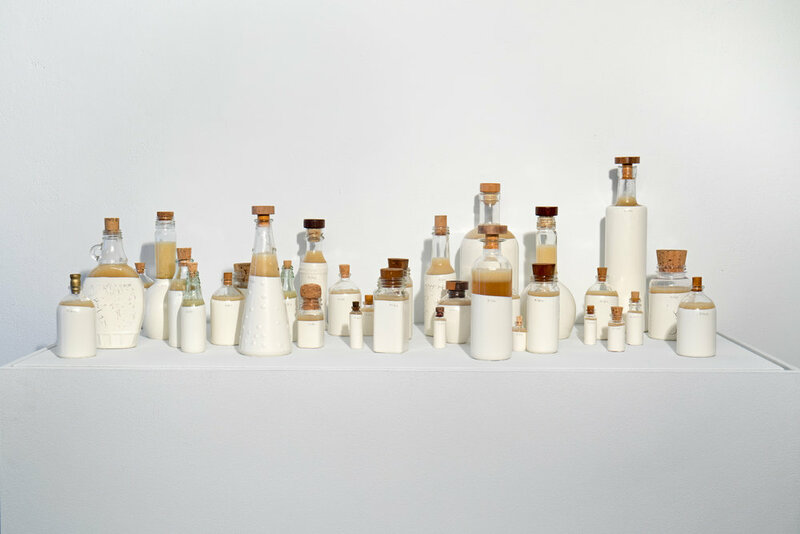 While in Costa Rica at an artist residency in 2013, Spector discovered that the soap she used was made with cooking oil reclaimed from their kitchen. Intrigued by this idea of reuse, she returned to Costa Rica several years later to study soap making. Back in her city of Philadelphia, Spector partners with a local donut shop for the collection of oil. Through chemistry and experimentation she creates soap recipes. It is intended that the Bottle Soap work/installations will support the donation and distribution of soap batches to local neighborhood programs. This project is an exploration of the concept of circular economy, through the collection from (reclaimed oil) and return to a community (soap).